What are you doing next Monday evening? 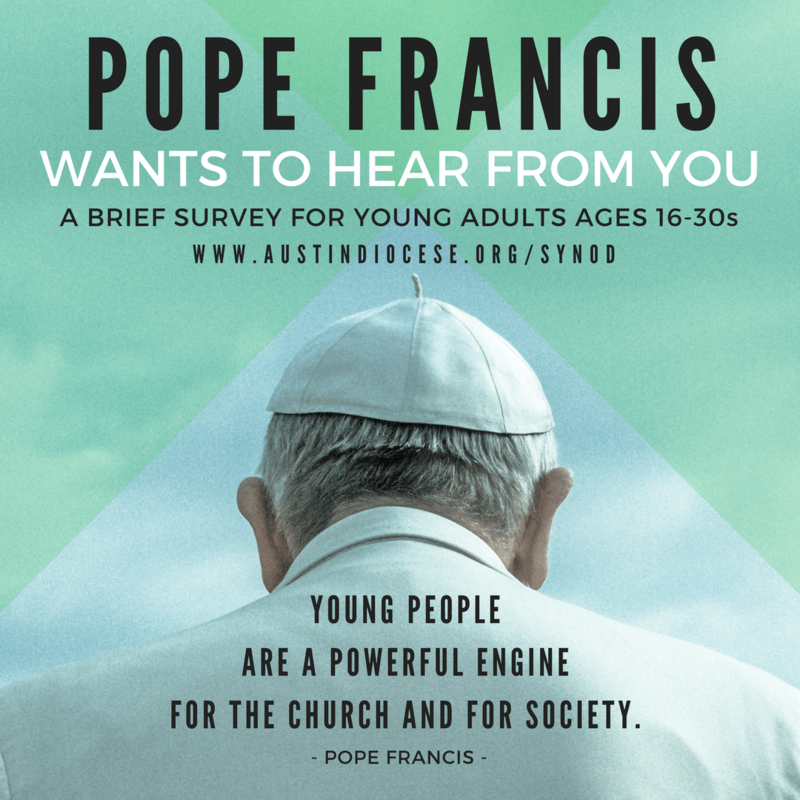 Young adults between the ages of 18 and 35 are invited to attend a Diocese of Austin listening session with Bishop Joe Vásquez and Bishop Danny Garcia on August 7 from 6-8 pm at St. Louis, Austin. 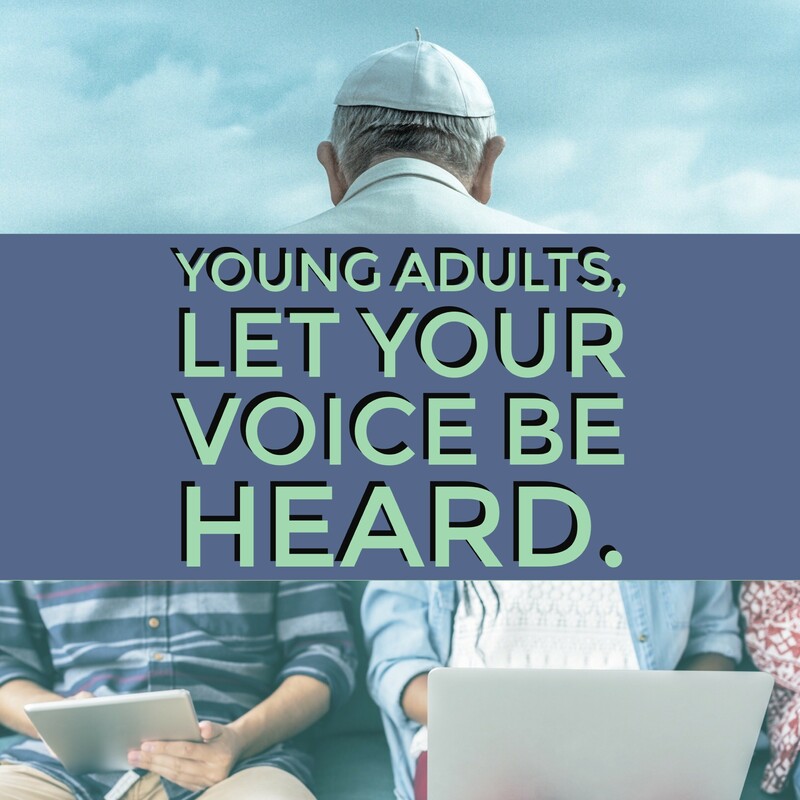 This listening session will assist the diocese in preparation for the 2018 Synod of Bishops on the topic of Young People, the Faith and Vocational Discernment. Please RSVP on the Facebook Event , or by contacting Elizabeth Lagoe for more information at (512) 949-2464 or elizabeth-lagoe@austindiocese.org. Now we have a moment as Austin youth and young adults to tell Pope Francis, through the listening ears of our Bishops, just what reality we face today. Don’t miss this chance to get involved, to dialogue, and to be a part of the movement of faith and life that will carry our Church forward in these modern times! See you there! For more information, see the USCCB’s website, and also the Preparatory Document for the Synod.